McJoseph Besong, physical and health education teacher at Beijing No.55 High School, International Students Section, emphasizes that eating well is key to performing well in sports and other athletic activities. Besong says that using a variety of online apps, kids can learn about food groups, nutrition facts, the digestive system, and cooking skills, so they can make healthy decisions about what they eat. Apps are an ideal platform for nutritional learning because kids are excited to use them, and healthy eating habits built early will last a lifetime. Easy Eater teaches your kids to eat healthier by eating more fruits and veggies. In Easy Eater, kids are responsible for naming and keeping a pet healthy and happy by feeding it the same foods they eat. 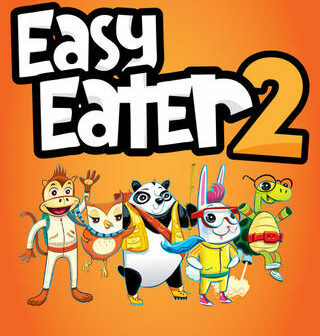 Set in a magical forest, Easy Eater boasts a motley cast of characters that teach food groups and encourage food recognition. Kids learn foundational food facts like that shrimp, tofu, and nuts are proteins and that avocados are fruits. 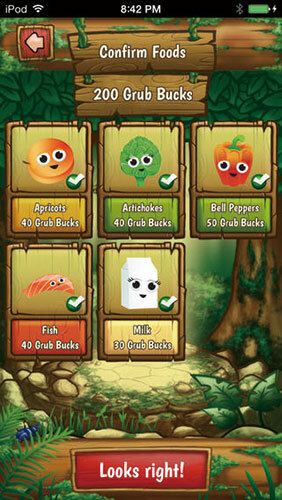 Healthy choices earn “grub bucks” to buy app accessories and real world prizes. As the Healthy Heroes 1 in this game, kids are charged with saving the city of Yogopolis from Hungry Monsters. 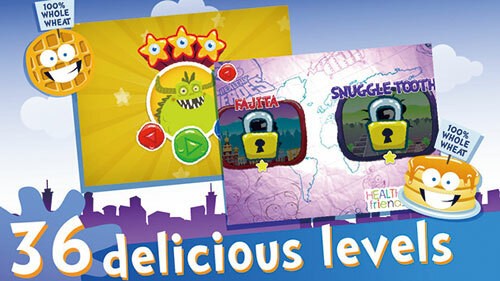 Through 36 levels of game play, kids fend off the Hungry Monsters with healthy foods like fruits and vegetables. Junk foods anger the monsters and prevent advancement. Kids learn to recognize healthy foods and eating habits throughout the game. Getting the right nutrition is an important part of a child’s growth and development. Kids who eat healthfully perform better at school than those who have poor eating habits. Teaching your children how to make the right food choices will help give their brains and bodies the energy they need to grow into healthy adults. Healthy Heroes 2 is about “Queen Ignorantia”, who has meddled in the Yogome world once more by sending her robotic henchmen to steal away the good stuff, leaving the healthy monsters feeling sick and out of sorts. Players journey through a prehistoric landscape to find the five food groups and restore nutritional balance. While we all learn about the five basic food groups in grade school, public education does little to really reinforce that learning. School lunches are rarely as healthy as they should be, while junk food is available just about everywhere. Healthy Heroes 2 seeks to teach kids the basics of holistic eating by combining a compulsively playable “matching game” puzzle mechanic with a story that seamlessly ties together the five food groups (i.e., fruits, vegetables, cereals, proteins, and dairy) and rewards learning. There are plenty of different morsels to find for each food group in the pyramid – over 30 healthy foods in all! More so, Healthy Heroes 2 teaches kids about balanced meals and as they play the game, parents are encouraged to participate in the process by offering healthier eating options at home. If our kids are our future, then nutrition should be a concern higher up on everyone’s list. Help the healthy monsters feel happy again by taking nutrition out of the classroom and into the living room with Healthy Heroes 2. This article originally appeared on page 35 of the August 2016 Issue of beijingkids magazine. Click here for your free online copy. To find out how you can obtain a hard copy, contact distribution@truerun.com.